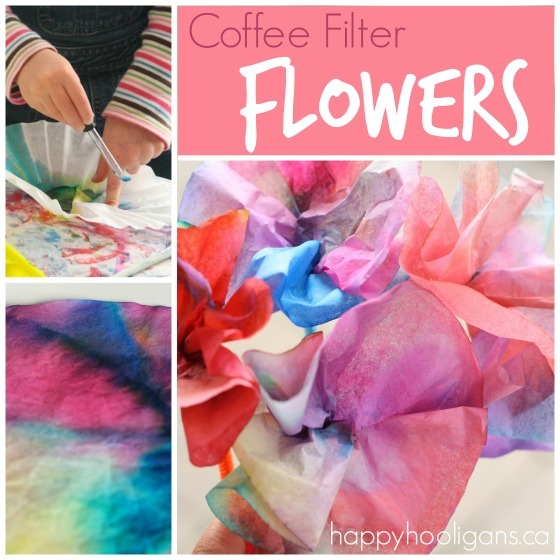 Home » Crafts for kids » Vibrant Coffee Filter Flowers – So Easy and Pretty! 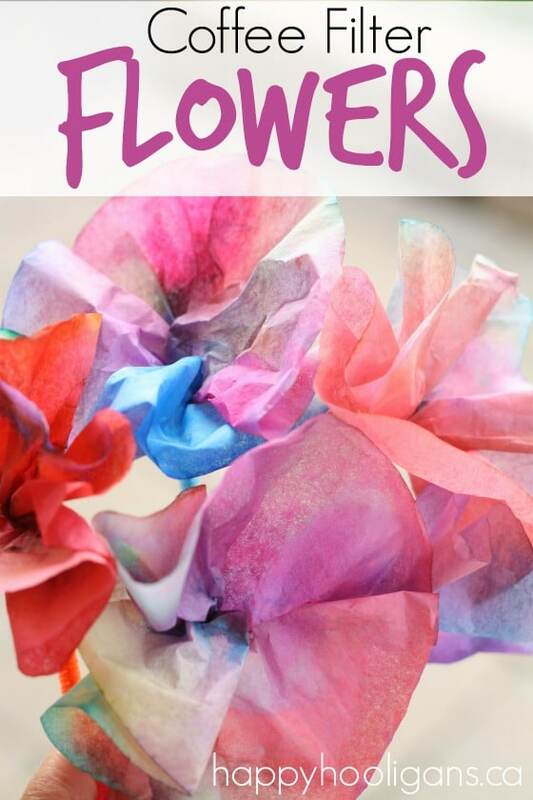 Vibrant Coffee Filter Flowers – So Easy and Pretty! 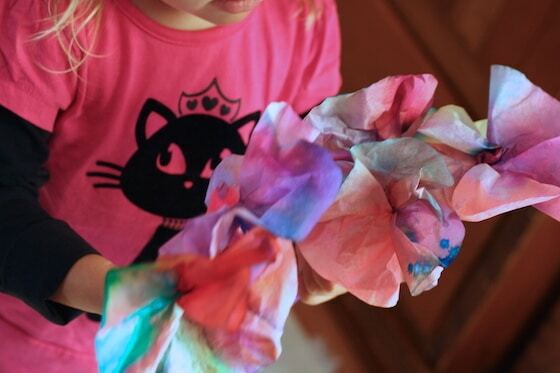 Making coffee filter flowers is one of those activities that never gets old. 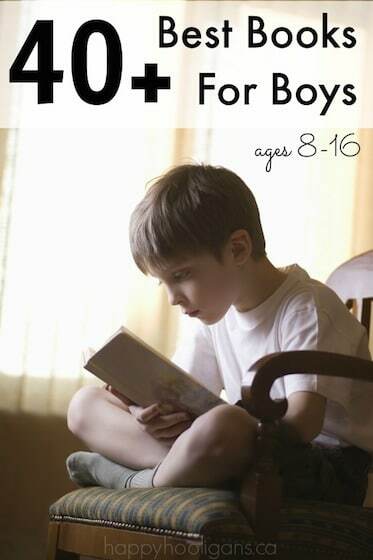 I have tons of flower crafts and activities on my blog, and this is one of my favourites. Dyeing coffee filters is so much fun! 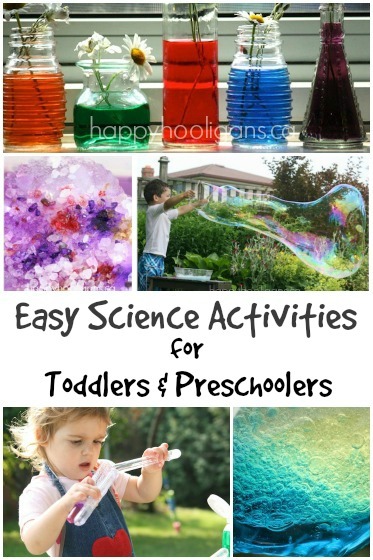 Toddlers and preschoolers love the process, and once they’ve dried, you can turn your flowers into a wreath, or you can make a bouquet to pop into a vase. 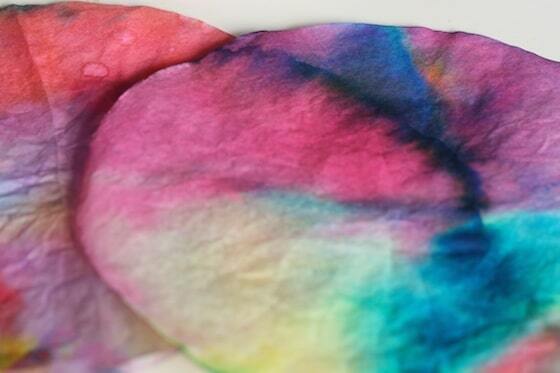 Colouring coffee filters is a wonderful way for kids to explore water absorption and colour blending. 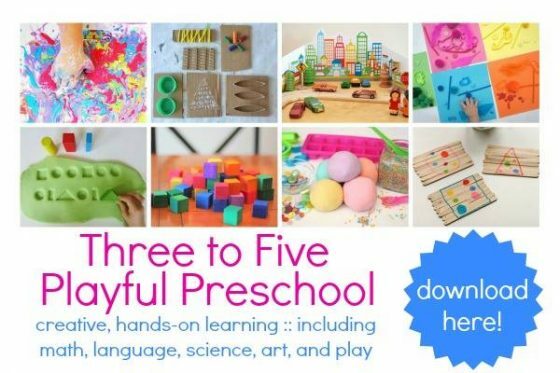 The process is great for developing fine motor skills and co-ordination too. We began by laying our coffee filters out on a table that we had covered with a vinyl table cloth. 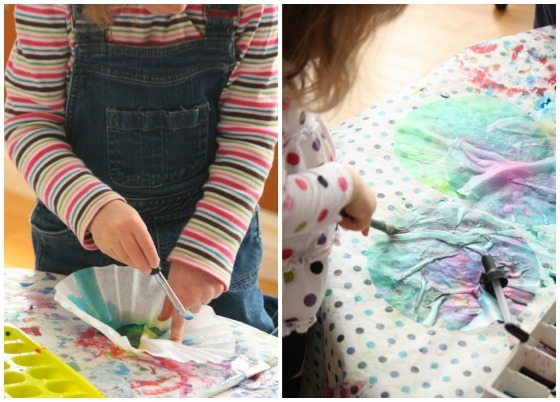 The table cloth is a must because the watercolours will seep through the coffee filters to the work-surface underneath. Then the kids covered their coffee filters with watercolours that I’d diluted with a bit of water. They dripped water all over the filters, watching the colours blend and bleed together. This step is so mesmerizing and beautiful. The older hooligans are old pros with the droppers, but the younger ones always find them a challenging at first. 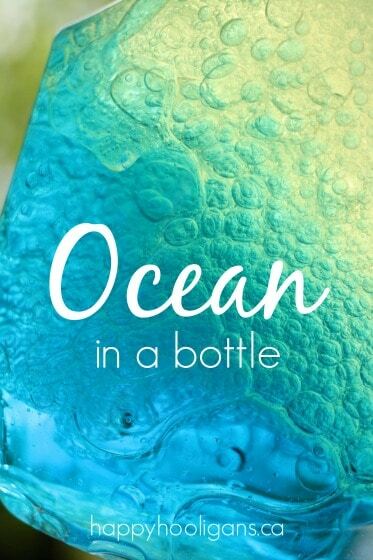 It takes a bit of practice to get the hang of squeezing the bulb BEFORE putting it into the liquid in order to pull the colour up into the dropper. 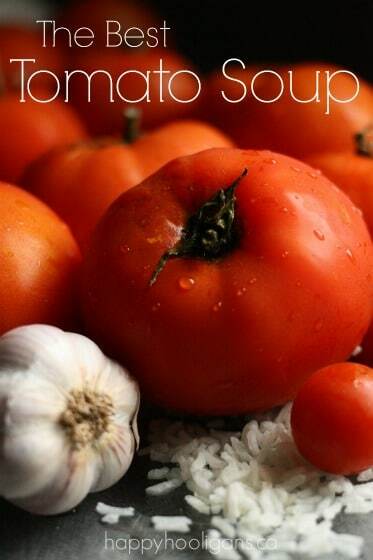 It always takes a bit of practice. Some times the toddlers find it too frustrating, so they use paintbrushes instead. When our coffee filters were completely saturated, we dried them with a blast from the hair dryer. If you’re going to dry your coffee filters this way, just make sure you’re doing it over your table cloth because you’ll send a few drips and drops flying with the force of the hair dryer. 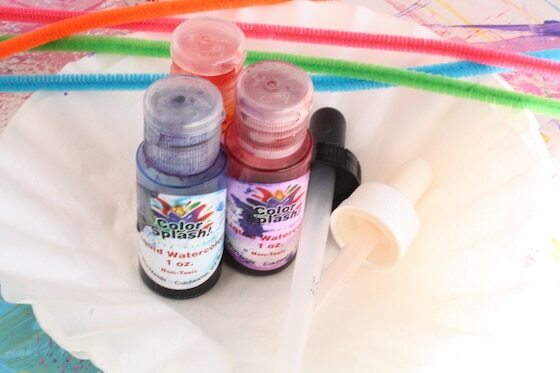 Then we turned our vibrant creations into flowers. 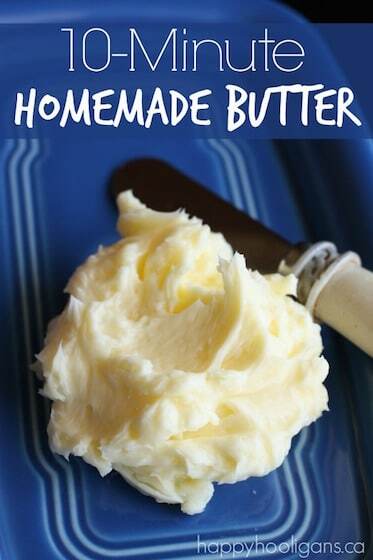 If you’d like you can cut your coffee filters to make these fancy shaped flowers, but we opted for the simple version. We pinched the centre of our coffee filters, and gave them a little twist. Then, we attached a pipe cleaner “stem” to the twisted bit. 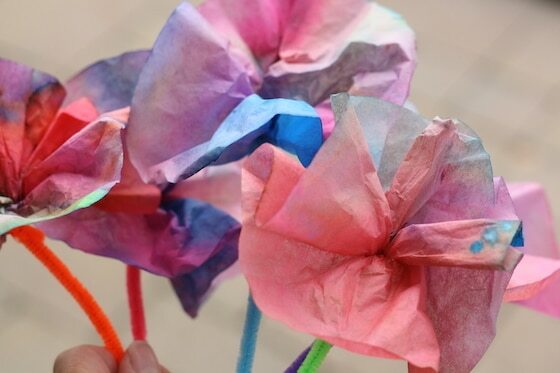 And now, if you’re ready for a MOM flower craft, check out these tissue paper roses by The Idea Room.